As he approached the jack pine last winter, Tom Gable remembers thinking that this was a huge tree. He would know. A Ph.D. student in wildlife biology at the University of Minnesota who's leading a research project studying wolves at Voyageurs National Park, Gable has identified three so-called big tree champions in Minnesota, the largest individual members of 52 different tree species in the state. Gable's colleague Austin Homkes first spied the mammoth jack pine last year while checking out a spot near the shoreline of Namakan Lake in the park where a wolf had likely feasted on prey. For the past several years a team of researchers has studied the predation behavior of wolves in and around the park. To do this, they've outfitted wolves with GPS satellite transmitters that send back signals every 20 minutes with the wolves' precise location — when a wolf spends more than 20 minutes at one spot, that means they potentially killed and ate something there. Homkes and Gable went back to the spot in the winter to check out the tree more closely. 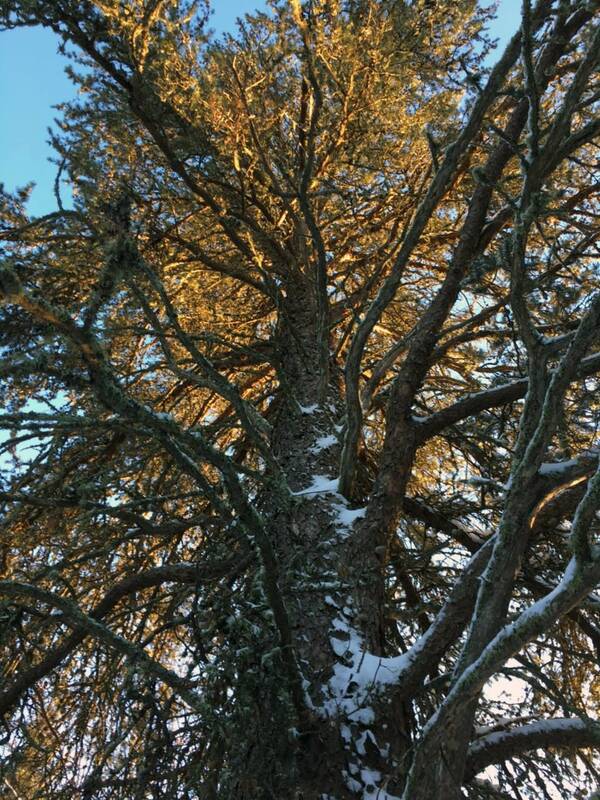 When Gable first glimpsed it, he pulled out his phone to see what the record was for the tallest jack pine in the U.S. He knew this one had a chance to beat it. "As we started taking the measurements, I was like, 'Holy cow!' This shatters the current record." The tree was 73 feet tall, with a trunk nearly 7 feet around. The most impressive feature, Gable said, was its giant crown. "Sometimes you see jack pines and they're kind of tall and scraggly, and they look like they've just kind of been beaten by the elements." But not this tree. It had big branches that forked out in all directions, creating a crown about 40 feet around — a "stately" tree, Gable remembers thinking. "It looked like it had been around for a long time and seen a lot." Gable sent his measurements to the Minnesota DNR, who sent out a forester to confirm them. Then he submitted the details to the organization American Forests, which maintains the Champion Trees National Register, a list of the 783 tallest members of each tree species in the country. Eight months later, he finally heard back; the tree was indeed the largest known jack pine in the nation. Gable carries tools with him to measure trees and determine their age. He's found enormous red pines he estimates are between 300 and 400 years old. That's old — Minnesota only became a state 160 years ago. "I like big trees," Gable explained. "They transport me to another time." They show what the old growth forest used to look like, hundreds of years ago, before logging, when caribou still roamed the landscape around Voyageurs, he said. And, he added, there's nothing quite like the feeling of walking up to, say, a huge white pine, 4 feet across, that shoots straight up, piercing the forest canopy above. "It's hard not to be wowed at how big and enormous something like that is." Minnesota is home to three other national champion trees, in addition to the jack pine Gable and Homkes recently found: a 111-foot tall bigtooth aspen in Sandstone; a black willow in Marine on St. Croix with a trunk more than 26 feet around; and a tamarack in Brainerd with a 69-foot crown spread (champion trees are determined by a combination of their height, trunk circumference, and crown size). The Minnesota DNR also keeps a list of state champion trees. And just in the past two years, Gable has identified three of those trees in and around Voyageurs. 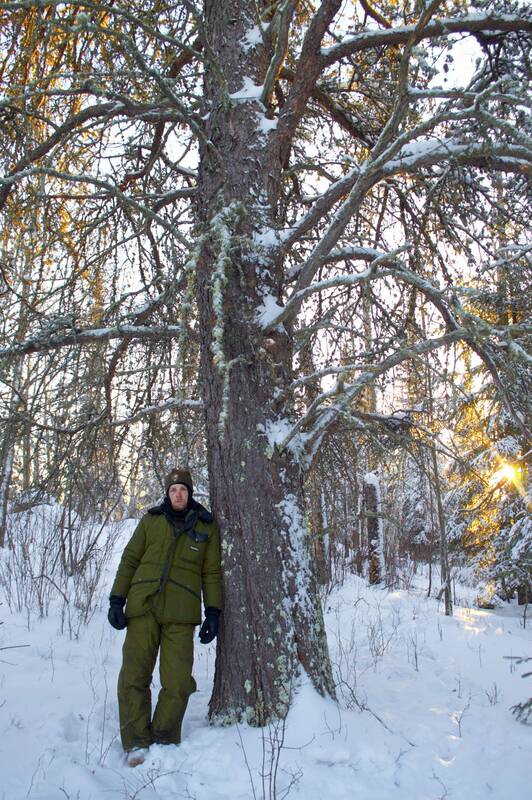 He's found an 80-foot tall balsam fir and an 85-foot black spruce, in addition to the recent jack pine sighting. And he believes he's found a fourth. He's nominated a 120-foot red pine he found earlier this year. The secret to finding so many huge trees is pretty simple, Gable said. "A lot of it comes down to just covering a lot of ground." He estimates this past summer alone he probably trekked 800 or 900 miles through the woods as part of their ongoing wolf research project. Voyageurs National Park is also protected from logging, which he said is probably another factor. But more than anything, he believes it's because he's always looking for them. Most of the champion trees he's found are in popular areas of the park. "It suggests," he said, "that there could still be a lot of big trees right out there that people just don't know about." Correction (Dec. 7, 2018): The bigtooth aspen was misidentified in an earlier version of this story.